With touring comes lots of time on the road, with band and crew members trying to get some rest in between commitments. Anywhere from eight to 10 band and crew members sleep on the bus. "Sleeping With The Band" is a recurring blog post series where Dr. Winter, a sleep specialist, sits down to talk about sleep with touring musical artists. A massive silver motor coach is parked outside of the Jefferson Theater in Charlottesville, Va. This vehicle serves as a quiet oasis for the band resting within. 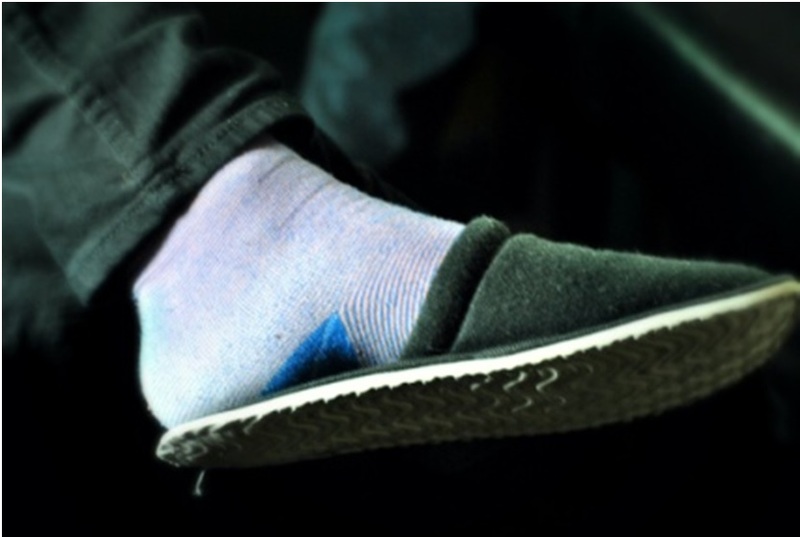 "The motor of the bus is like a lullaby rocking me to sleep," says Michael "Fitz" Fitzpatrick, slowly moving his foot -- adorned by a purple sock and black slipper -- rhythmically back and forth as he speaks. 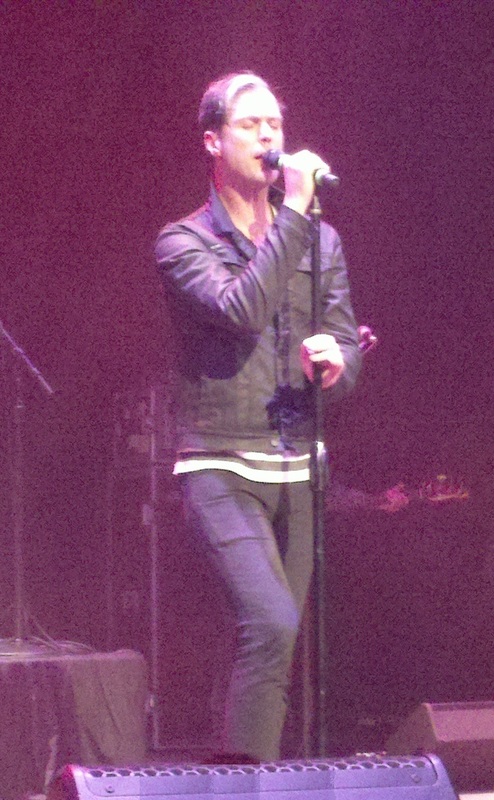 The lead singer of the red-hot Fitz and the Tantrums looks almost wistful as he talks about sleeping on the road. "I've always been a good sleeper, but being on the road is a real thing! Desperation forced me to learn to sleep on the bus." Reclined on a black leather seat, Fitz, 42, looks poised to sleep at any time as he stretches out his body, a lean physical presence that starts with the slippers and ends miles later with his trademark shock of blonde hair. He's joined by fellow band members, bassist Joseph Karnes and keyboard player Jeremy Ruzumna, who all nod knowingly about the challenges of sleeping on the road. The tour bus. The classic symbol of life on the road for the hungry band grinding out their existence until a spark ignites the rocket. 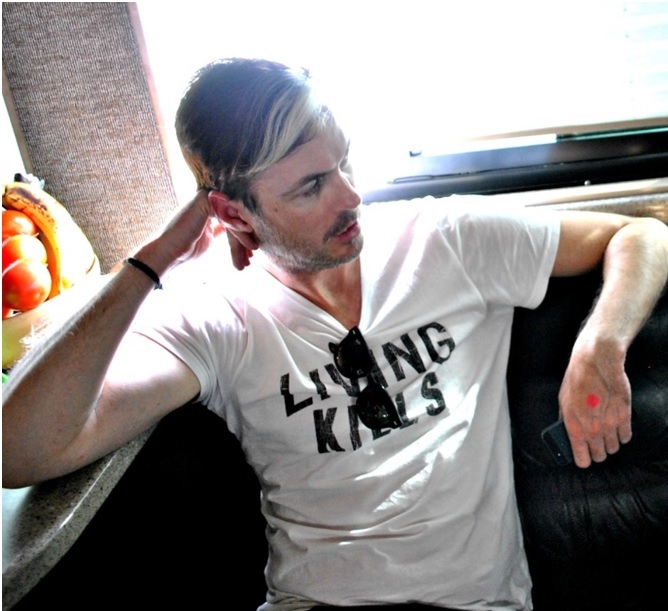 For Fitz and the Tantrums, success has come quickly since their founding in 2008. Their ability to mix modern hooks with a sound straight out of Stax Records has earned them a rabid following. Their first full-length album, Pickin' Up the Pieces, hit number one on the U.S. Billboard's Top Heatseekers chart, and hard touring has been a big part of their success. With touring comes lots of time on the road, with band and crew members trying to get some rest in between commitments. Anywhere from eight to 10 band and crew members sleep on the bus. Despite the inherent difficulties and discomfort, these bunk beds, which look like they are straight out a modern nuclear submarine, form the foundation of their sleep routine. "Sleeping on the bus is very womb-like," Fitz describes, as his eyes presumably move to his own bunk. The "zero light" environment seems to create a sense of lost time on the road. That time may be lost on the band, but there is one person on the bus who has a different perception: the driver. "We put a huge amount of trust in the driver. There is more than a little bit of anxiety as you go down the road." Fitz stifles a yawn as he speaks. "For the most part, we have had solid [drivers]." Jeremy laughs as he recalls a driver from a previous band. "It was a budget situation. I asked the driver about his previous driving experience. Turned out his experience consisted of delivering oranges." Jeremy, 43, smiles and Joseph shares a look with Fitz. The silent prompt immediately conjures the intended story as Fitz smiles and acquiesces, "We once had a driver that would deliver us to the venue. Instead of heading off to the hotel for sleep prior to bus call the next am, he would produce a lawn chair, sit outside the venue, and continually drink Monster Energy." He smiles and adds, "We were all a little freaked out driving down the road hearing the 'bbbbbbbbb' sound when the tires hit the rumble strip. You develop a feel for the bus speed quickly, and it's not hard to tell the difference between 60 miles per hour and 90." All of the initiated share a brief laugh as murmurs of being thrown from their bunks percolate. Joseph, 41, jumps into the old band stories as he recalls traveling through the night to the next city. "We were driving on the bus and there was a huge ruckus." There is a snort at the word "ruckus." "A deer had been hit and was rattling around between the back of the bus and the trailer." Laughs and sighs indicate Joesph's story wins the round, although the bigger issue of anxiety affecting the band's sleep is no laughing matter. Letting go of control and trying to rest when someone else is in charge of your safety is something every band member has struggled with from time to time. Talk of the bus gradually leads to talk of the schedule, today's being printed out on a piece of typing paper and taped right above Fitz's head. It doesn't look easy. "We get back from the venue at 1:00 a.m." The band invites its audience during the show to say hello after the performance. "We'll sign anything," Fitz will announce to the audience later that night. This kind of commitment to their fans comes at the expense of rest. "The more successful we get, the less we sleep." "An hour, maybe two in the hotel, two hours on the flight... that's it," laments Fitz, a native of Montluçon, France, currently calling LA home. "I may get lucky and find a corner of the venue to catch a half an hour." No guarantees. The notion of sleeping in airports between connecting flights was raised. "No way," interjects Joseph. "We might miss our connection!" "We suffer from a lot of sleep deprivation; sometimes for days we don't sleep. It's not uncommon to go one or two nights with three hours of sleep." When asked about the longest stretch of sleeplessness the band had endured, Fitz recalls, "Three or four nights with two hours of sleep. It was a bad time. 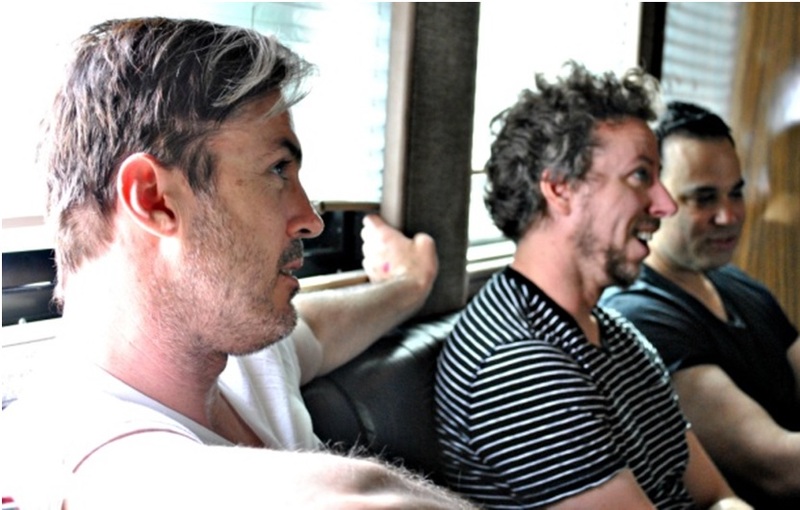 Our tour manager [at the time] had a seizure from lack of sleep." "I feel really lucky if I get a whopping five and a half hours of sleep," said Jeremy wistfully, "Because pretending to sleep is no remedy." And morning comes way too soon. Early mornings and sleepless nights are recurring themes with the band. 6:00 a.m. in particular represents a pivotal time for Fitz. In "News For You," the song begins with the singer awakening to remorseful thoughts, "It's 6 a.m./spitting gray/don't know why/I let you treat me this way." On the new album, 6 o'clock in the morning gets its own song. In "6 A.M.", the singer finds himself struggling to sleep -- "It's six in the morning and I'm still awake." When asked about the significance of this hour, he explains his vision of 6:00 a.m. as the precise intersection of the long night and the new day. "When you are awake at 6:00 a.m., it usually punctuates a bad night." "Or a great night," quips Jeremy. In "We Don't Gotta Work It Out," Fitz laments, "Baby, I'm gonna need a doctor's care/to help me though the night." He makes it clear that the push and pull of relationships can often leave sleep broken and in need of help. Fitz continues to push his point. "Sleep is symbolic of rest and restoration ... it is where the subconscious speaks itself. I believe dreams and sleep patterns describe our spirit, mental physically." A few hours later, these musings about sleep and the future of this band will come together. On stage, the six performers catch their breath and towel off. Hundreds of fans, infected with energy, will soon be privy to both Fitz's ideas about sleep and the band's future via one symbolic '80s cover song: "Sweet Dreams."